The 15 most popular herbs used in South African herbal medicine. Herbal medicine is the art and science of using herbs for stimulating health and preventing and treating sickness. 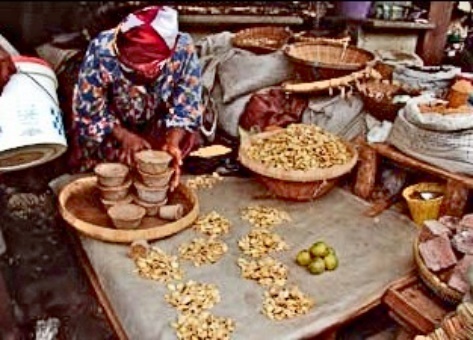 Herbal medicine has been Africa’s primary form of medicine since the beginning of time. South Africa Department of Agriculture, Forestry and Fisheries (DAFF) published a listing of the most popular South African Medicinal plants used in African herbalism by the Nyanga, South African herbal medicine specialists. Most popular herbs used in the South African Herbal medicine discipline. Leaves have been traditionally used for stomach complaints, hemorrhoids, arthritis, eczema, conjunctivitis, hypertension, and stress. They are also used to treat skin irritations and bruises. Fresh roots or rhizomes can be chewed to treat influenza. 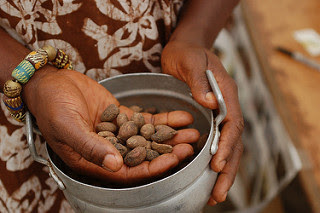 It can also be used for colds, asthma, to treat malaria and by women during menstruation. The plant has also been traditionally used as an appetite suppressant and sedative. The leaves are rubbed and smoked for asthma and other infections of the throat and lungs. Leaves have been traditionally used to treat fever, poor appetite, indigestion, gastritis, peptic ulcer, dysentery, cancer, diabetes, colds and flu, cough, asthma, chronic bronchitis, kidney and liver conditions, rheumatism, heart failure, urinary tract infections as well as stress and anxiety. 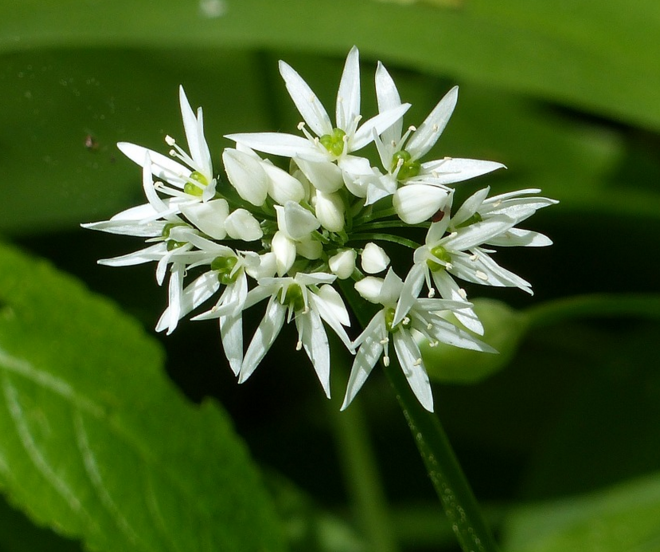 Tubers have been traditionally used for treating diseases of the liver, kidneys and bladder. It can also be used to stimulate appetite, and for indigestion. The tuber has been traditionally used for benign prostate hypertrophy, urinary tract infections, and testicular tumors. They can also be used to treat dizziness, heart weakness, nervous and bladder disorder as well as depression. Stems are widely used as an appetite suppressant, thirst quencher, mood enhancer and as a cure for severe abdominal cramps, hemorrhoids, tuberculosis, indigestion, hypertension, and diabetes. Twigs and leaves can be used for colds, coughs, infections, headaches, fevers, menstrual pains and others. The leaves can be used for the treatment of anxiety and depression. The rhizomes and leaves are used for the treatment of fever, rheumatism, asthma and constipation. The fresh bulbs are boiled in water, the decoctions are taken orally to clear up coughs, and colds and they can be used as a remedy for pulmonary tuberculosis and to destroy intestinal worms. The leaves are used to treat cancer of the esophagus. Traditionally it is used for a wide range of ailments from coughs, colds, fever, and loss of appetite, colic, headache, earache, and intestinal worms to malaria, respiratory tract infections, influenza, sore throats, asthma, pneumonia, gastritis, indigestion, flatulence, constipation, gout and measles. The roots, stems and leaves are taken as enemas for febrile complaints, poultices, infusions, body washes, lotions, smoked, sniffed or drunk as a tea. Medicinally, the pepper-like, bitter stems and root bark are used to cure many ailments. Dried and ground, they make a snuff used to clear the sinuses. 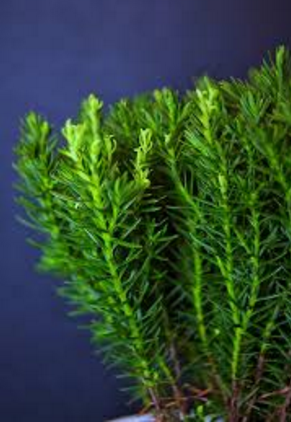 Taken orally it is believed to cure spots in the lungs. Powdered and mixed with water, they are believed to cure sores in the mouth. The bark, stems, roots and leaves are used to treat colds and respiratory complaints. It is used as a tonic for all health conditions including fever, malaria, influenza, coughs and as a natural antibiotic for chest infections. It is also used for the treatment of venereal diseases, abdominal pain and constipation, cancer, rheumatism and stomach ulcers. The bulb can be used for backache, to assist in post-operative recovery and to assist in healing fractures. They are traditionally used to treat fever, hangover, urinary complaints, stomachache, colic, flatulence, and syphilis. It is traditionally used for coughs and chest troubles and is effective for bronchitis in children. 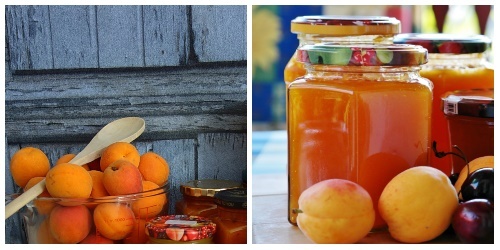 It can be used for the treatment of infections such as cough, fever, sore throat, as well as fatigue and weakness. Infusions of the tuber are used to treat dysentery and diarrhea. It is used for medicinal purposes to cure various ailments such as headache, wounds or insect bites, bacterial or fungal skin complaints, gastric ulcers, diarrhea and treat liver and spleen problems, pains of the joints and malnutrition. Shimla mirch ki sabzi is a classic South African Indian recipe of green peppers, tomatoes, onions, potatoes and eight spices. This simple curry recipe is a staple dish in many Durban South African Indian homes. How do you cook a cow foot? 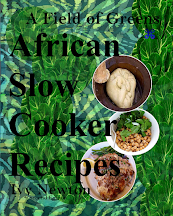 Easy Cow foot stew recipe is a spicy thick delicacy which cow foot is slowly stewed until tender. 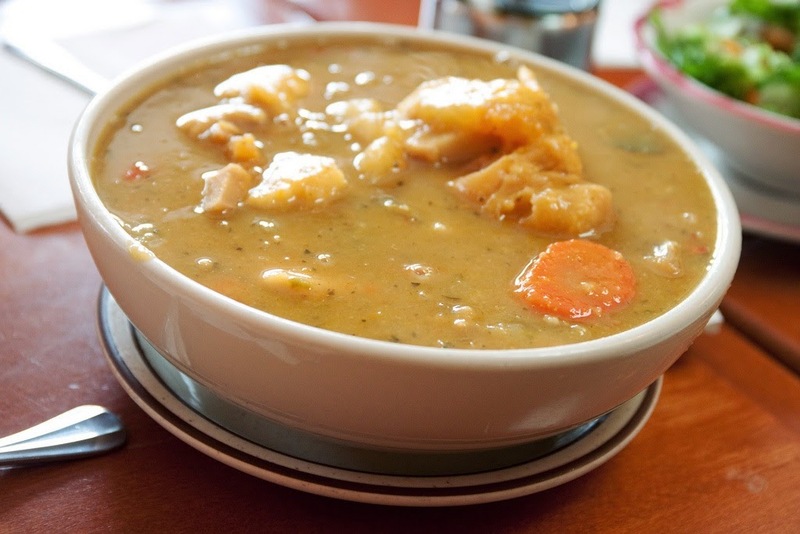 Cow foot stew may not sound appetizing, but when slowly simmered it is delicious. Cow foot is quite tough; you may be able to buy calf foot which is more tender. 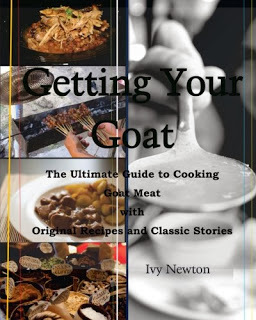 But if you add a tablespoon of vinegar or meat tenderizer to the stew the cow foot will cook faster. Cow foot makes a thick delicious broth that has a lot of collagen and gelatin. Nigerian Cow foot stew is spicy, but there is nothing to stop you from adjusting the heat to suit your taste. In a large pot add cow foot, water and lemon or vinegar. Simmer together slowly until cow foot is tender 2 1/2 hours. Add remaining ingredients simmer 1 hour. Serve with rice. 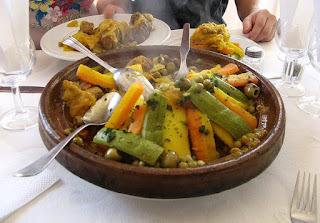 Cow feet recipes are high in fat and cholesterol but a delicious indulgence to have occasionally. Ginger is a tropical warm climate plant herb used in cooking, spice mixes and medicine. 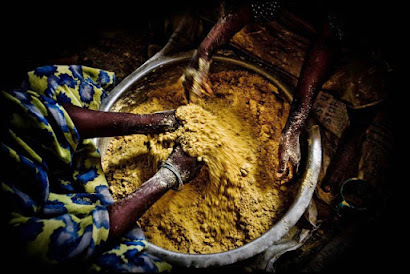 Some ginger growing African countries are Uganda, Tanzania, Ethiopia and Nigeria with Nigeria growing ginger on a large scale. African ginger spice hot buttered popcorn recipe is easy to make and enjoy for your next Netflix and Hulu binge night. 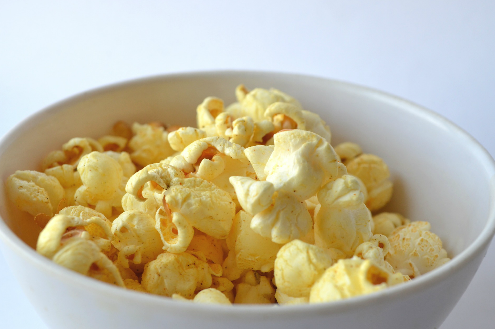 When you say popcorn, most people think of the kind you microwave but popcorn is so much better than that. When popped fresh on the stove, our homemade African ginger spice hot buttered popcorn recipe is as easy to make as boiling water. 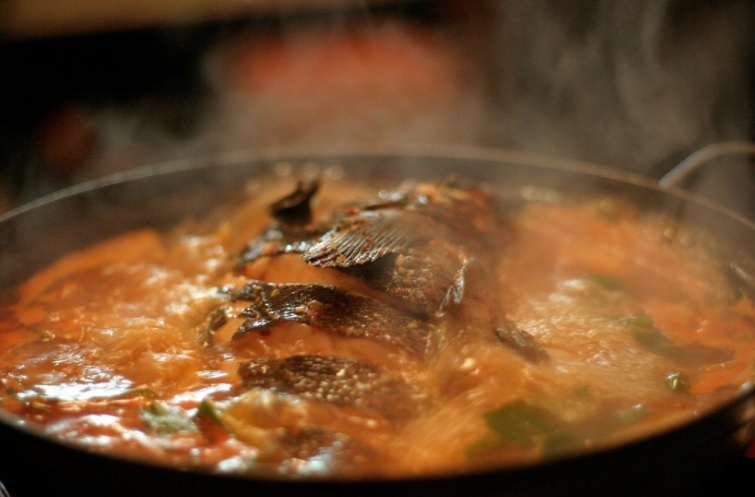 Over medium-high heat, warm a large heavy pot with a lid and add oils. If your oil starts to smoke, it is too hot. Test the heat of the oil by dropping in two kernels. When the kernel pops or spins in the oil, you are ready to add the remaining popcorn. Pour just enough kernels to cover the bottom of the pan. Shake the pan gently to be certain oil coats each kernel. Cover pot, remove from heat when popping slows or stops. Pour popped corn into a large bowl. 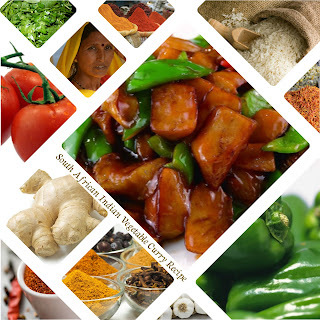 Season with ginger spice mix to taste. South Africa grows more than 2 million hectares of corn per year and for this reason, corn is a staple food in South Africa. About 40 percent of the total popcorn production is exported to Namibia, Botswana, Swaziland, Zimbabwe, Ghana, Egypt and the former Ivory Coast Côte d'Ivoire. 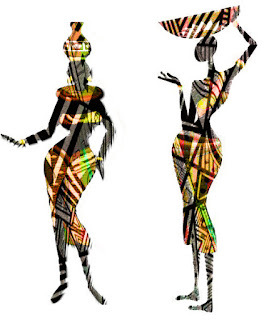 African Folklore story rich wife and poor wife teaches money does not always bring safety and happiness. 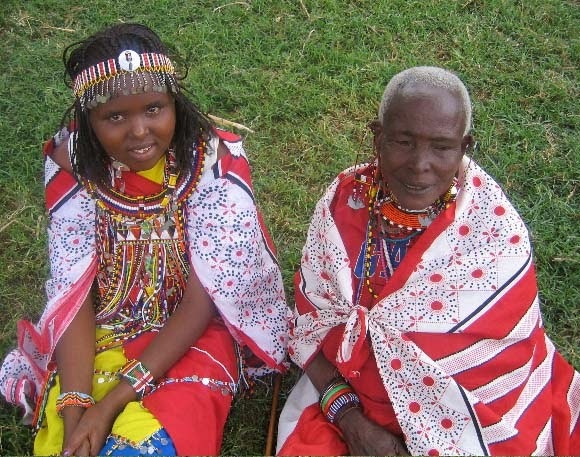 As the elders say, there were two girls whose father told them "You are now old enough to marry." Their hearts were glad when they received this permission, and soon they found two fine young men. The oldest sister became engaged to a poor man and the younger to a rich one. One day the older sister paid a visit to her fiancé, and as he was poor, he could only give her fish to eat and a mat to lie on for a bed. But when the younger went to see her rich fiancé he killed a goat for her supper, gave her a fine bed with soft blankets, and in the morning killed a pig for her breakfast. 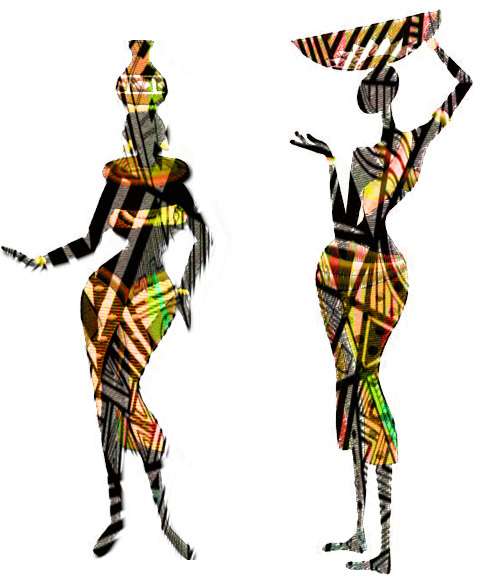 African Folklore story rich wife and poor wife. younger sister laughed to scorn the poverty of the elder sister's suitor. Soon the day of their marriages arrived, and the rich man gave a fat pig for the feast and sent his bride a piece of velvet, a piece of white cloth, and a piece of satin. The poor man could only send some chickens for the feast and give his bride one piece of ordinary cloth. After the marriage celebrations were over the new wives went to live in the houses of their husbands. Before many days had passed the younger bride committed a small mistake, and her husband in his anger cut off her ears. In a week, he was angry about some other small matter, he cut off her nose, and the next time she upset him with some small mistake he cut off her head. Thus, she did not live long to enjoy her fine things. As for the poor husband, he said to his wife "It is not until death comes to me that we shall separate." Riches do not always bring with them happiness and contentment. Kwanzaa, what the heck is it? Kwanzaa is a seven-day celebration of family, community, and culture. Kwanzaa is not an African Christmas celebration, Kwanzaa is not a religious holiday, nor is it meant to replace Christmas. 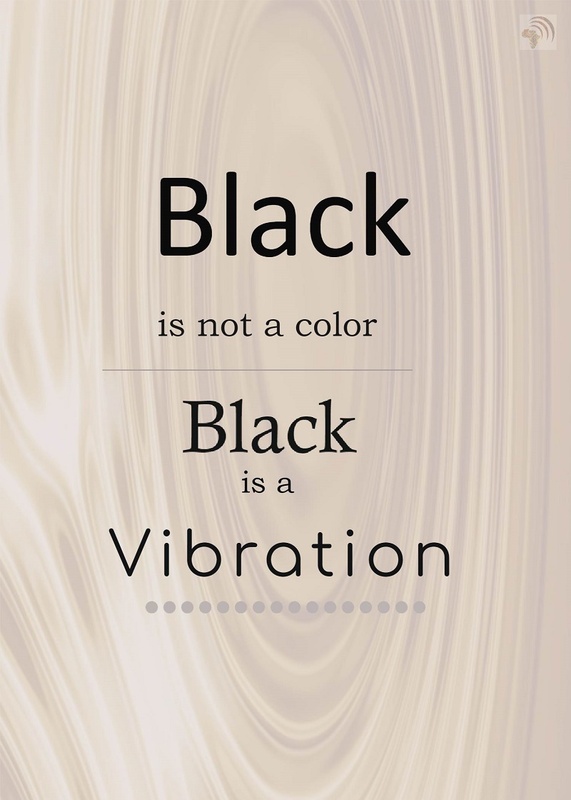 The colors of Kwanzaa are black, red and green. Kwanzaa is a seven-day celebration that begins on December 26 and ends on January 1. You do not have to be black to celebrate Kwanzaa. Kwanzaa is a seven-day celebration that begins on December 26 and ends on January 1. The name Kwanzaa is derived from the Swahili term, "matunda ya kwanza", which means first-fruits, Kwanzaa is based on African harvest celebrations. 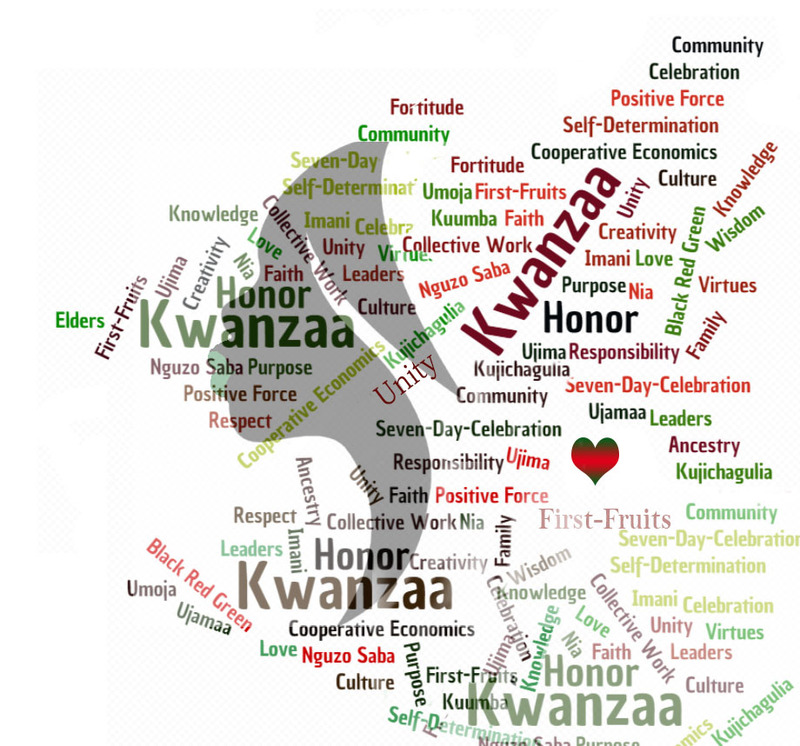 Kwanzaa has seven symbols that represent the values reflective of a peaceable world. What are the seven principles? 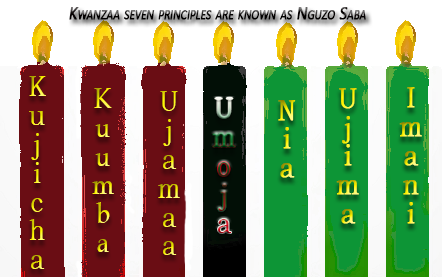 Kwanzaa has seven principles known as the Nguzo Saba (n-GU-zo SAH-bah). The seven principles of Kwanzaa are unity, self-determination, collective work and responsibility, cooperative economics, purpose, creativity, and faith. The colors of Kwanzaa are black, red and green; Black for the people, red for their struggle, and green for the future and success that comes from their struggle. Dr. Maulana Karenga introduced Kwanzaa in 1966 to the Africans of the American diaspora as a ceremonial celebration to welcome the first fruit harvests in the Americas. Dr. Karenga created Kwanzaa “to introduce and reinforce seven basic values of African culture which contribute to the building and reinforcing of family, community, and culture among African American people as well as Africans throughout the world African community”. Kwanzaa is not an African Christmas celebration or a black Christmas. Kwanzaa is not a religious holiday, nor is it meant to replace Christmas. Kwanzaa is not African rather honors African heritage and culture. People of many faiths, cultures, and ethnic backgrounds celebrate Kwanzaa. Kwanzaa is a time for all communities to gather together to celebrate ancestry, African culture, future, and past endeavors and virtues. 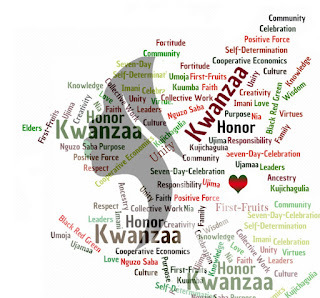 Kwanzaa can be used as a positive force in all communities. Kwanzaa pays respect to our beloved ancestors and to our elders for their wisdom, knowledge, honor, and fortitude. 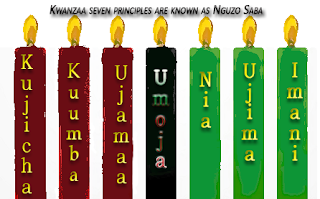 Kwanzaa seven principles are known as the Nguzo Saba. Umoja (oo-MO-jah) means Unity ~ To strive for and to maintain unity in the family, community, nation, and race. Kujichagulia (koo-jee-chah-GOO-lee-ah) means Self-Determination ~ To define ourselves, name ourselves, create for ourselves, and speak for ourselves. Ujima (U-Jay-Ma) means Collective Work and Responsibility ~ To build and maintain our community together and make our brothers' and sisters' problems our problems, and to solve them together. Ujamaa (U-Ja-Ma) means Cooperative Economics ~ To build and maintain our own stores, shops, and other businesses and to profit from them together. Nia (NEE-ah) means Purpose ~To make our collective vocation the building and developing of our community in order to restore our people to their traditional greatness. 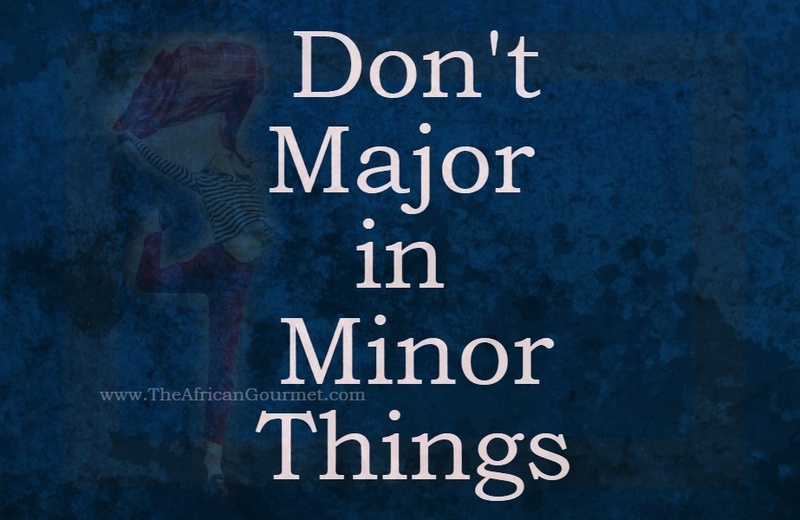 Kuumba (koo-OOM-bah) means Creativity ~ To do always as much as we can, in the way we can, in order to leave our community more beautiful and beneficial than we inherited it. Imani (ee-MAH-nee) means Faith ~ To believe with all our hearts in our people, our parents, our teachers, our leaders, and the righteousness and victory of our struggle. High in protein Chickpeas, also known as garbanzo beans are large light brown air friendly beans with a very mild flavor. 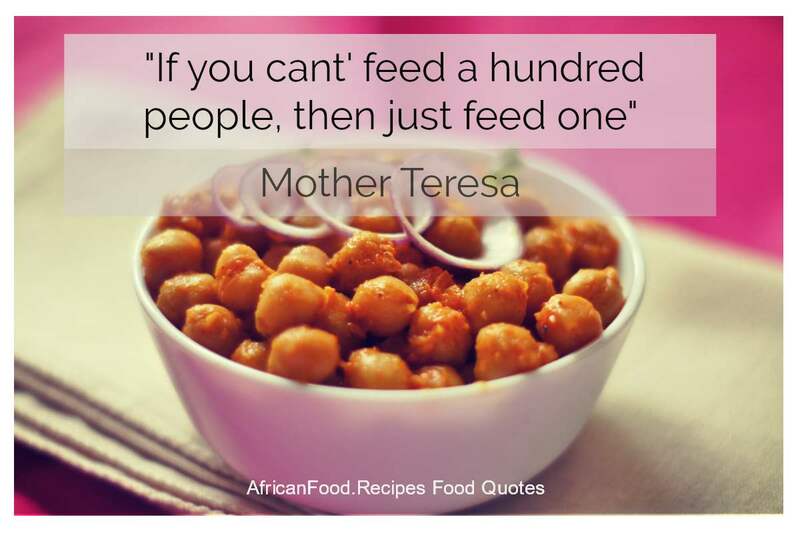 The major chickpea growing country in Africa is Ethiopia. Chickpeas are a versatile bean used in many recipes. Apricot Chickpea Cake is an easy unique recipe using canned chickpeas and popular African spices. Preheat oven to 350 degrees F. In a large mixing bowl cream sugar and eggs. Drain the liquid from chickpeas, rinse and pour into a food processor, pulverize the chickpeas, lemon juice, and oil. Add the chickpea mixture to the creamed mixture and mix well. In a separate bowl, mix dry ingredients. Add wet ingredients to dry and mix well. 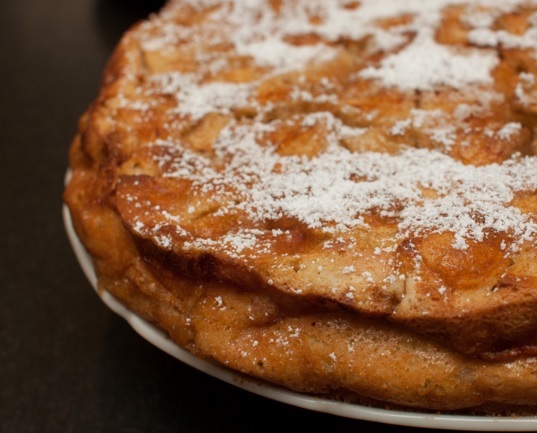 Grease and lightly flour eight inch round cake pan. Bake 30-35 minutes. When cakes cool completely, evenly spread apricots on the top of both cakes then place one cake on top of the other and dust with powdered sugar. 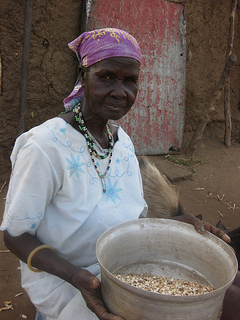 Dr. Sarah Tishkoff is a professor of Genetics and Biology at the University of Pennsylvania studying Africa's genetics. 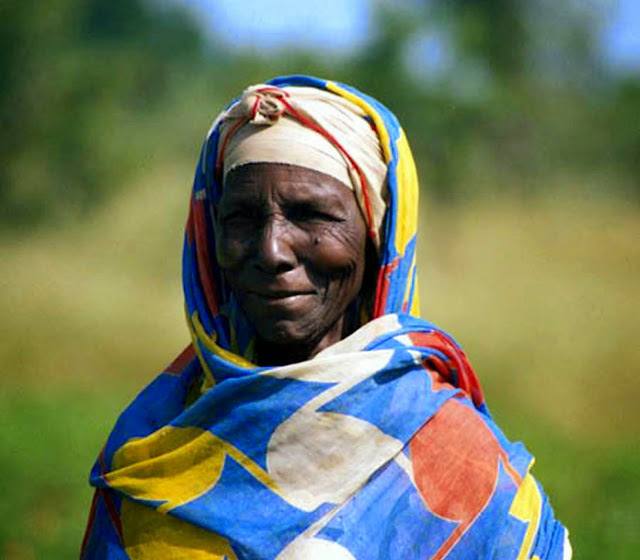 Dr. Tishkoff and her team studied 121 African populations of hunter-gatherers, pastoralists, and farmers. There is an extensive amount of ethnic diversity in Africa and genetic evidence is at the moment pointing to East Africa as the cradle of humanity. In 1924 the Taung child a fossilized skull of a young child who lived about 2.8 million years ago in Taung, South Africa was discovered. Lucy at 3.2 million years old in November 1974 in the Afar region of Ethiopia was unearthed. 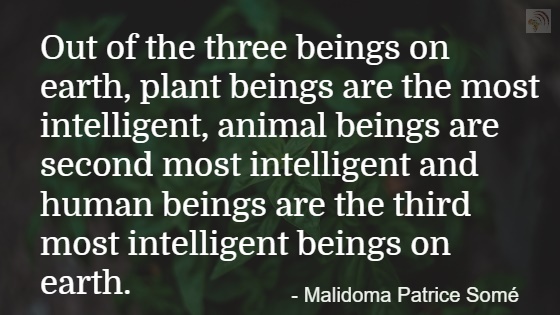 In 1987, three scientists announced in the journal Nature that they had found a common ancestor to us all, African Eve was a woman who lived in Africa 150,000 years ago. The theory is all people alive today can trace some of their genetic heritage through their mothers back to this one woman. In 2008 another species of Australopithecus, A. sediba was discovered in South Africa, it lived around 2 million years ago. Dr. Sarah Tishkoff is a professor of Genetics and Biology at the University of Pennsylvania studying genetic material variations, human evolution, and disease risk in global populations. Since 2001 Dr. Tishkoff studies observable characteristics of ethnically diverse Africans, such as shape, stature, size, color, and behavior that results from the interaction of its genetic makeup with the environment. Her studies hope to reveal African history and how genetic variation can show for example why humans have different susceptibility to disease. Dr. Tishkoff genetic diversity research can shed light on modern-day diseases, such as diabetes and obesity. 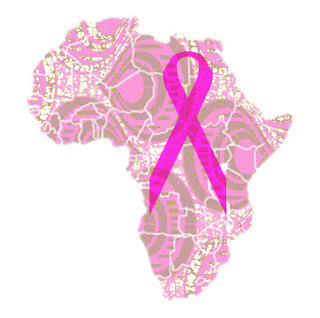 Africa also has a high prevalence of several infectious diseases including HIV, malaria, and TB, resulting in millions of deaths per year. DNA samples from around 9,000 geographically and ethnically diverse Africans with distinct diets such as hunter-gatherers, pastoralists, and farmers were collected. Dr. Tishkoff and her team studied 121 African populations, four African American populations, and 60 non-African populations. The Khoisan people of Southern Africa was previously thought to possess the oldest DNA lineages, but those of the Sandawe tribe of central Tanzania are older. This suggests southern Khoisan originated in East Africa, according to Dr Tishkoff. Modern humans originated in Africa around 200,000 years ago and then spread across the rest of the globe within the past 100,000 years. Modern humans have existed continuously in Africa longer than in any other geographic region and have maintained relatively large effective population sizes, resulting in high levels of within-population genetic diversity. One-third of deaths in the United States are caused by forms heart disease according to the American Heart Association. Good nutrition is one way to reduce your risk of developing heart disease and stroke. Making healthy African Moroccan Vegetable Tagine Stew can help you take care of your heart by eating healthy vegetables. 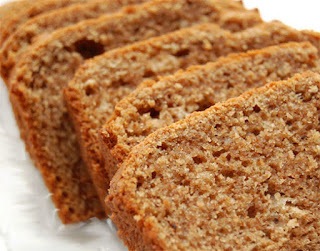 Old fashioned gingerbread recipe gets an upgrade thanks to ripe plantains. Plantain Gingerbread is an easy loaf cake recipe made with honey, buttermilk, and five spices. Preheat oven to 350 degrees F. Combine all ingredients except flour in a large bowl, mix well. Add flour to wet mixture ½ cup at a time mix after each addition. Grease and flour a bread loaf pan. Pour mixture into pan. Bake 50 minutes to an hour, or until toothpick inserted into the center comes out clean. Optional, drizzle with warm honey before serving. 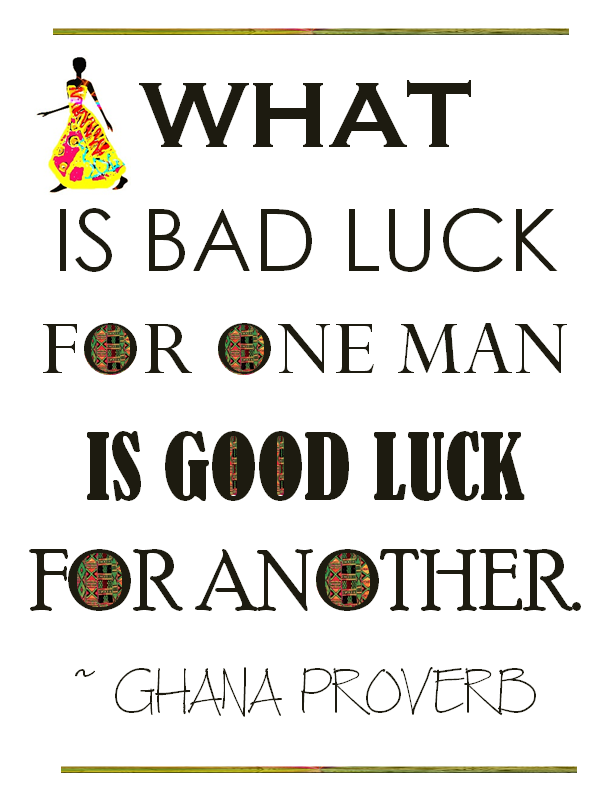 Good and bad is the same proverb from Ghana is one of the valuable traditions that build the fabric of life in Ashanti culture. Zambia in southern Africa has the highest annual production of amethyst crystallized quartz. Amethyst has been highly valued by ancient Egyptians for its beauty and strength against the metaphysical seen and unseen world. Amethyst is beauty and strength against the metaphysical seen and unseen world. Amethyst is a bright to dark or dull purple-colored variety of crystallized quartz and a semi-precious stone. Quartz is a crystal that contains very high vibrations through the rock and is therefore one of the most popular crystals that are chosen by people trying to increase their psychic ability. The world's largest deposits of amethysts on the African continent are found in Namibia, Zambia, and Morocco. Zambia in southern Africa has the highest annual production of amethyst crystallized quartz. The best, highest quality amethyst is considered the amethyst from Russia. The deeper and more intense is the purple color of the amethyst, the higher is the price and Russian amethyst has the deepest color on earth. Amethyst is believed to develop spiritual powers as well as having the ability to cleanse the aura and purify your soul. The crystal also guards against drunkenness creating a sober mind. 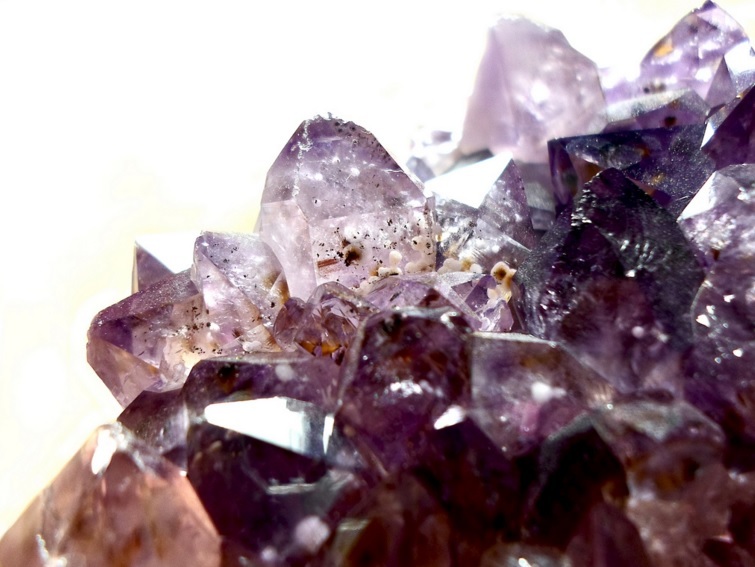 The ancient Egyptians used amethyst as a cut stone to make jewelry for protection against poisonous elements and against the metaphysical seen and unseen world. Amethyst is the birthstone for people born in the month of February. 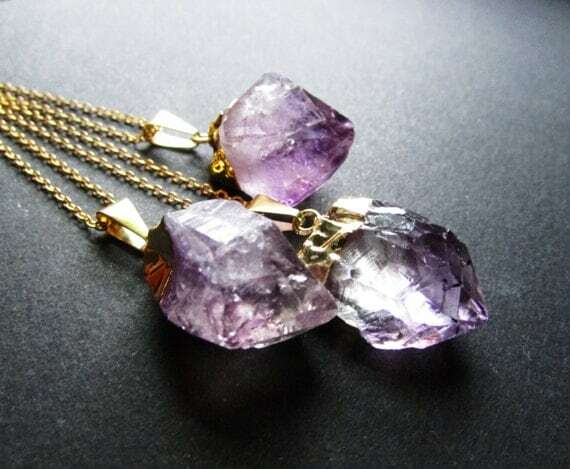 Luckily, you do not need to travel to Africa to reap the benefits of African amethyst. You can find African amethyst in most new age bookstores, metaphysical gift shops, as well as online at eBay and Etsy. African amethyst can be placed under your pillow, placed on your fireplace mantel, your living room table or office bookcase. You can also simply carry African amethyst in your pocket, purse, or worn as jewelry to reap the power of the crystal throughout the day.